As a teenager — and a gymnast — Nissen was watching a circus performance and watched as trapeze artists dropped into safety nets, where they would often bounce back high into the air. That gave him an idea, and he and his coach went to work, and in 1934, while a student at the University of Iowa, the result was a bouncing training surface for gymnasts. In the late 1930s, after getting his degree, Nissen traveled to fairs and carnivals to demonstrate his “rebound tumbling” device, which at the time didn’t have a name. Nissen’s favorite photo of himself on his invention. But in Mexico he heard the Spanish word for “springboard” — trampolin — and anglicized it and trademarked it, and the Trampoline was born. 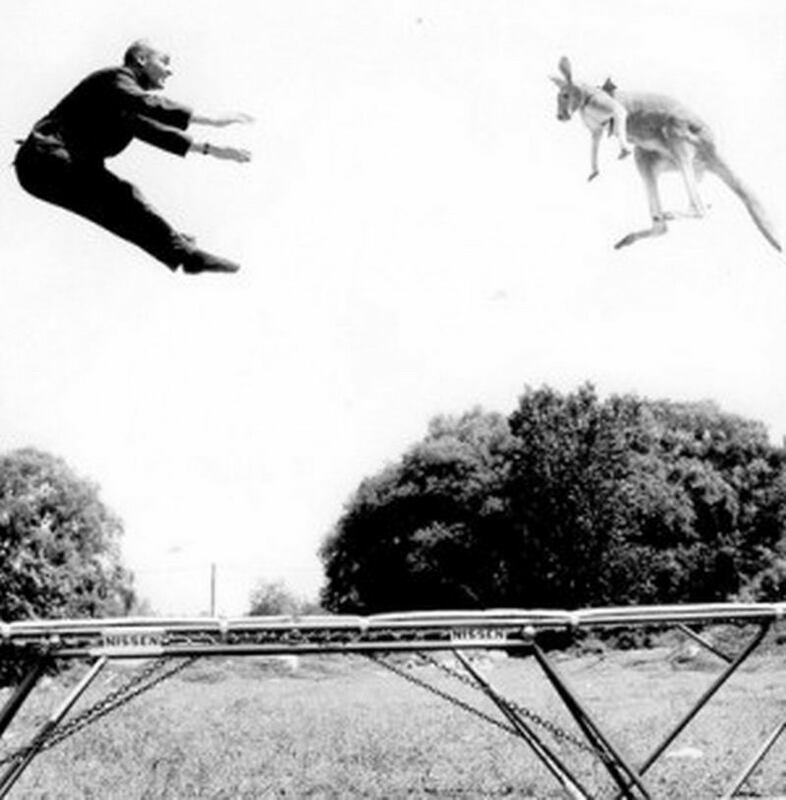 He promoted it throughout his life, with his favorite publicity photo being him jumping on a tramp with a “rented” kangaroo. In 2000, trampoline gymnastics debuted as a medal sport at the Summer Olympics in Sydney. “It is something I dreamt, like people winning a million dollars,” he told reporters from the audience — he was 86 years old. Nissen died April 7 from pneumonia. He was 96.